Max payload capacity: pretty much one olde Escalade. 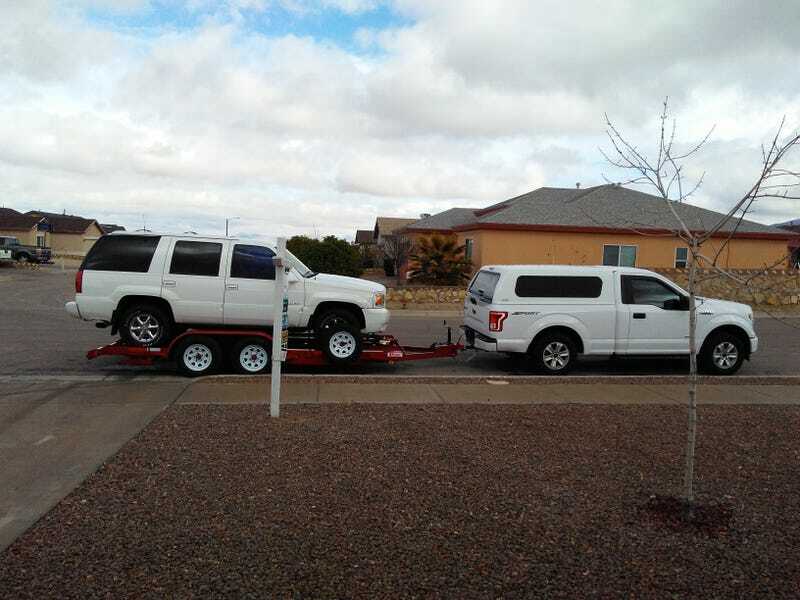 For reasons that are still not entirely clear to me, my olde Escalade (now owned by my parents) came down with us over the holidays as a secondary doggo transport vehicle while selling the house. It is now going back up to Abq. It turns to basically be the payload limit for my new trailer, and the running boards had to be removed to fit between the fenders. That first scratch on trailer was bound to happen eventually. I would’ve bought a bigger trailer if I planned to tow things this big on more than the most rare of occasions. Stick disposal, the more fun way.